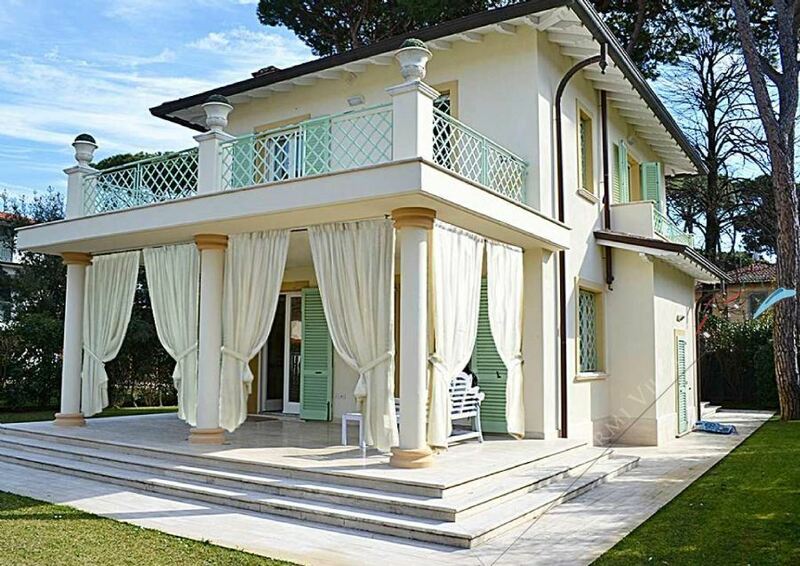 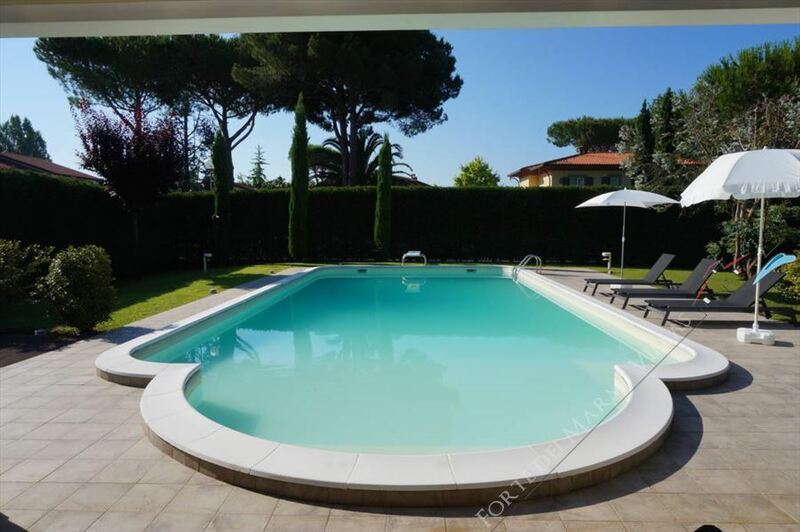 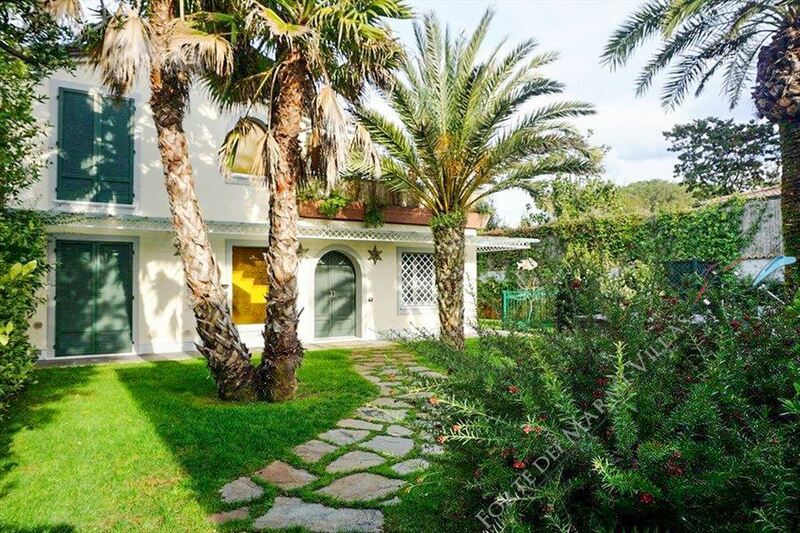 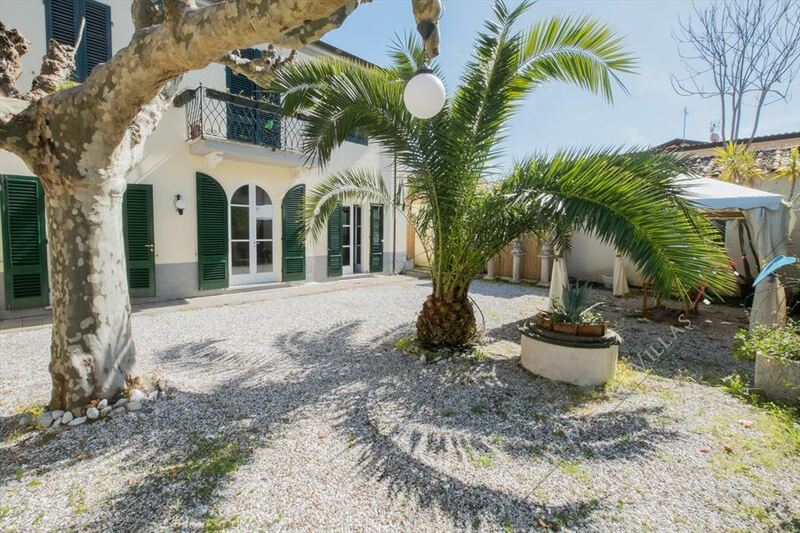 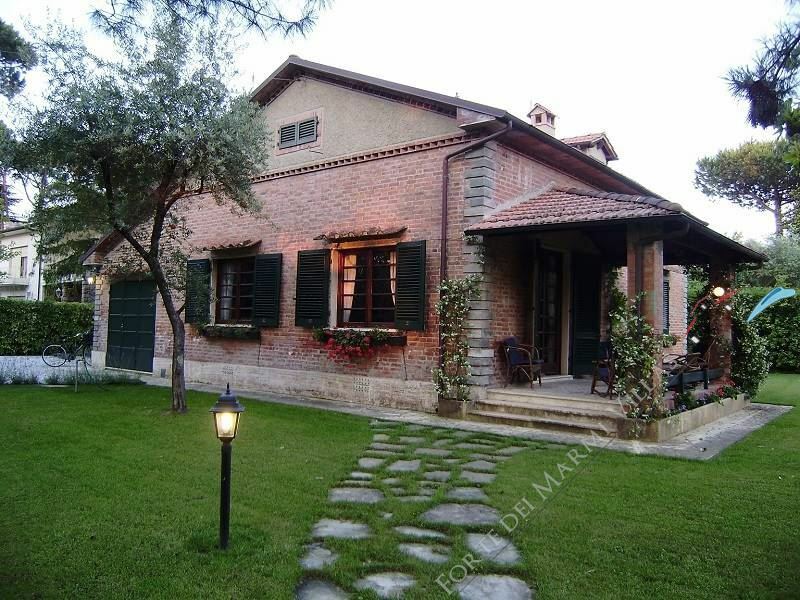 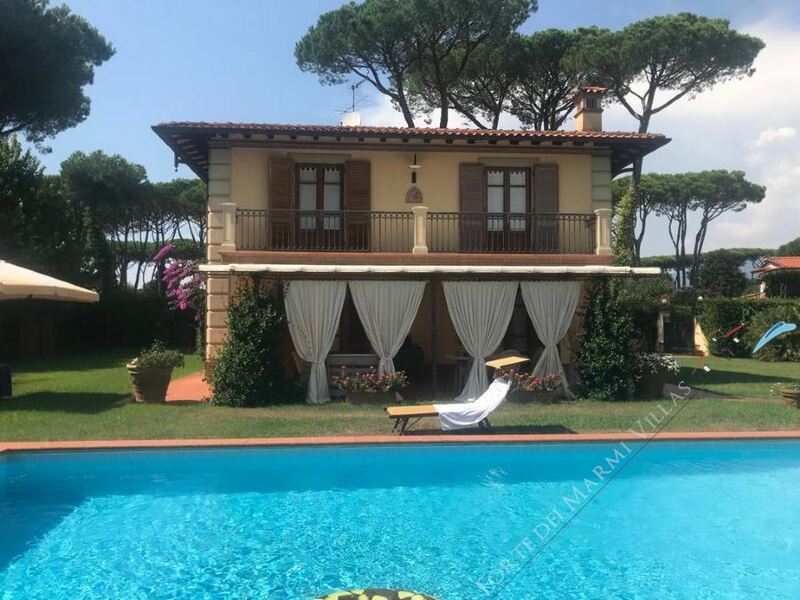 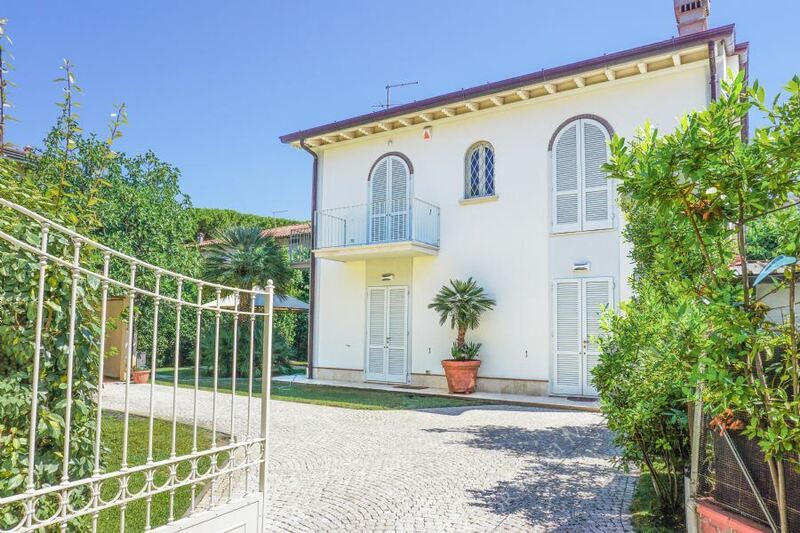 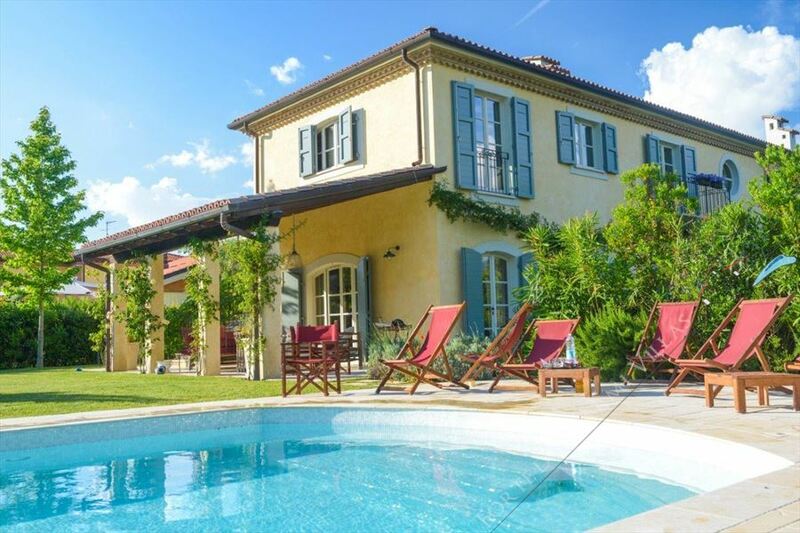 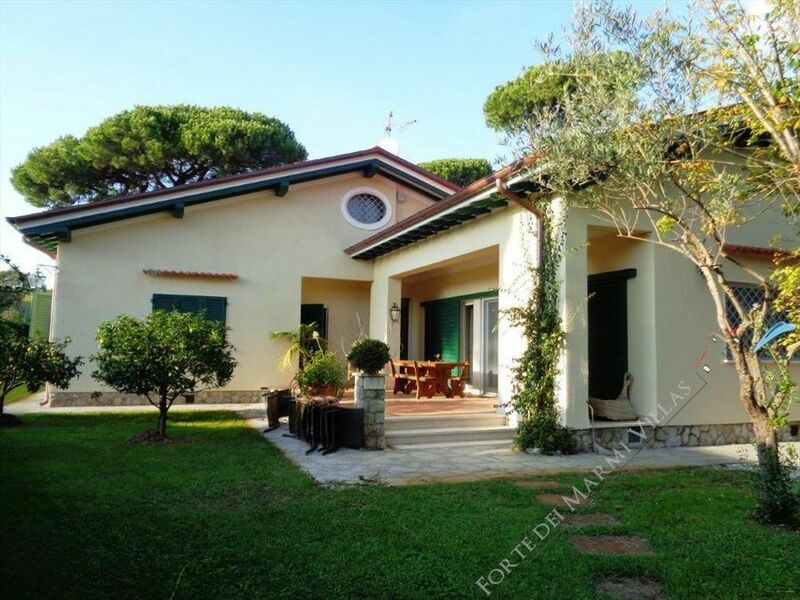 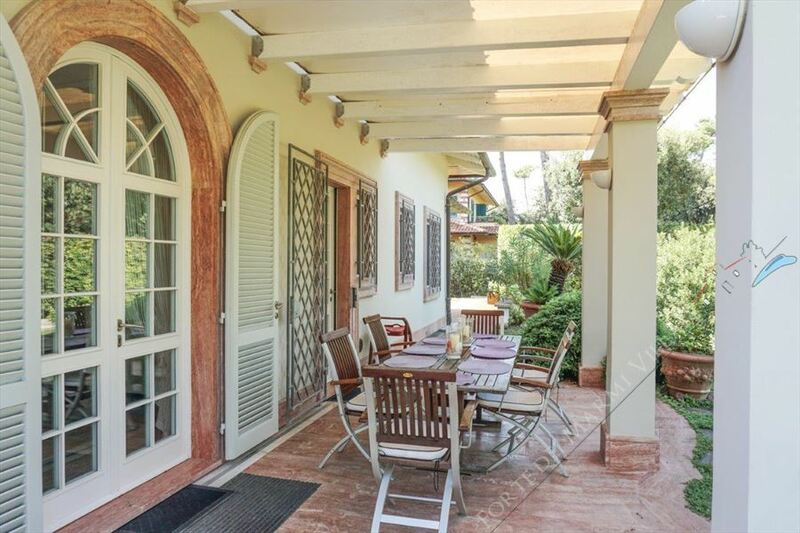 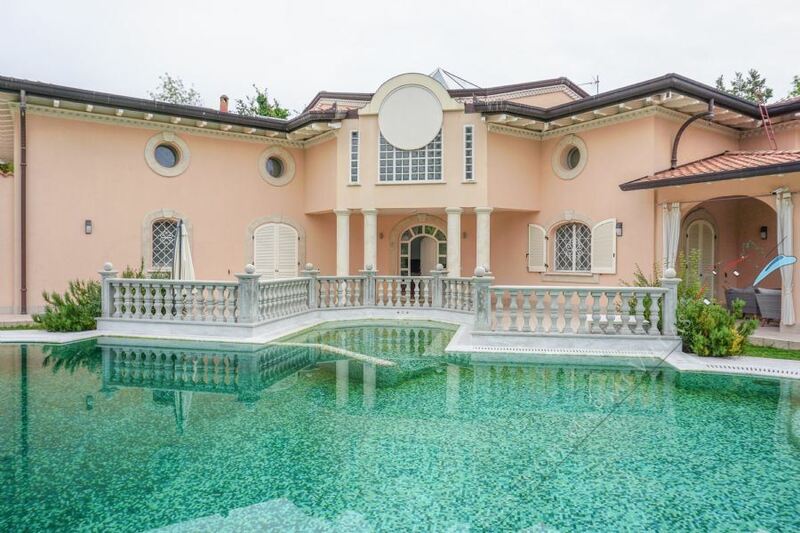 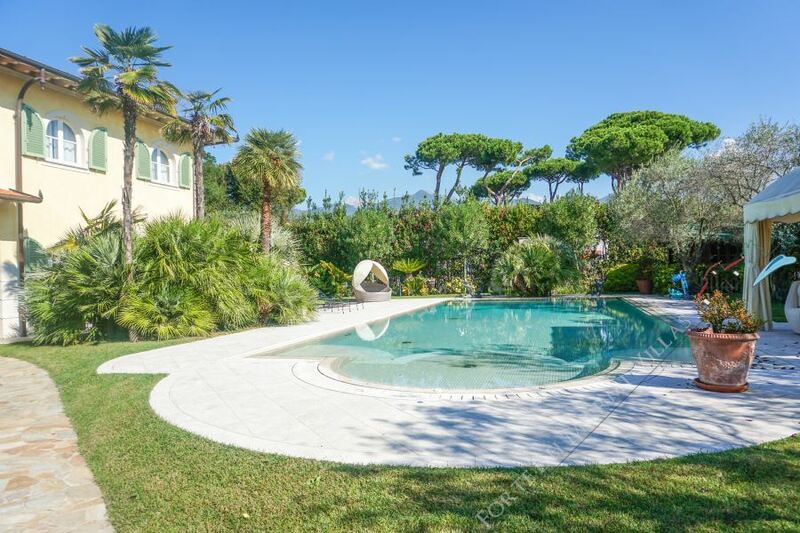 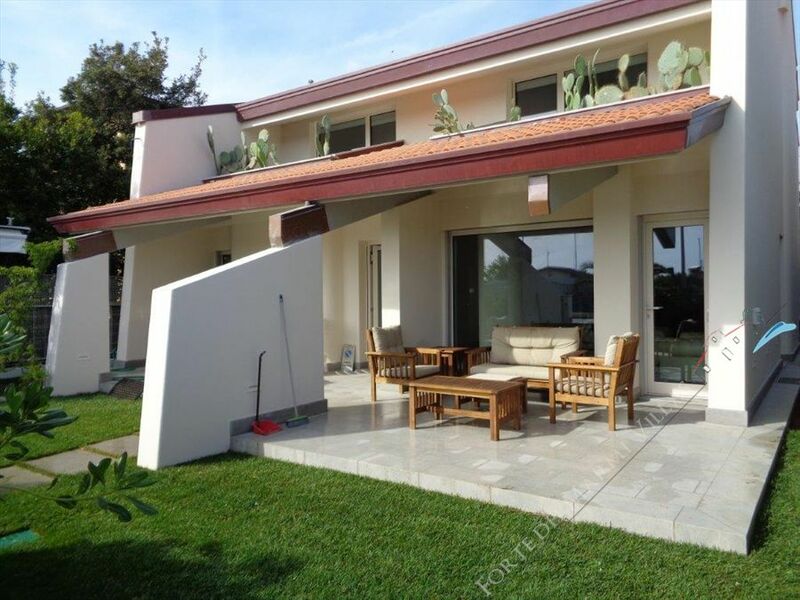 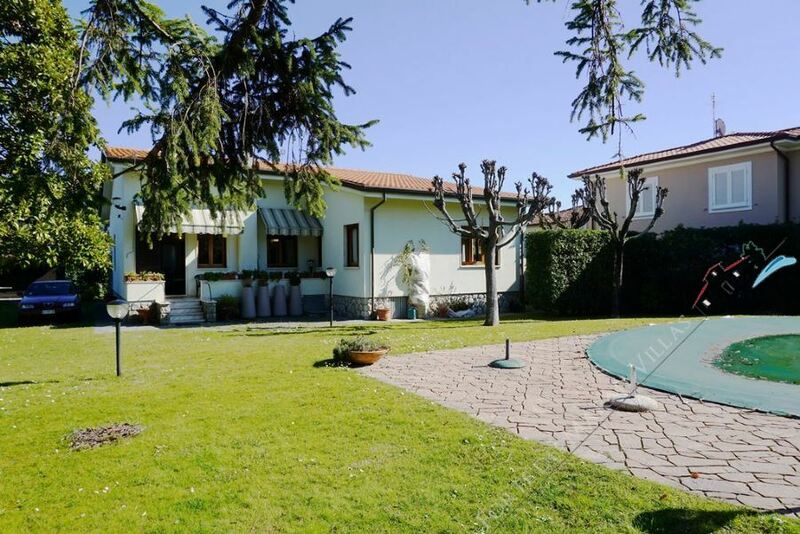 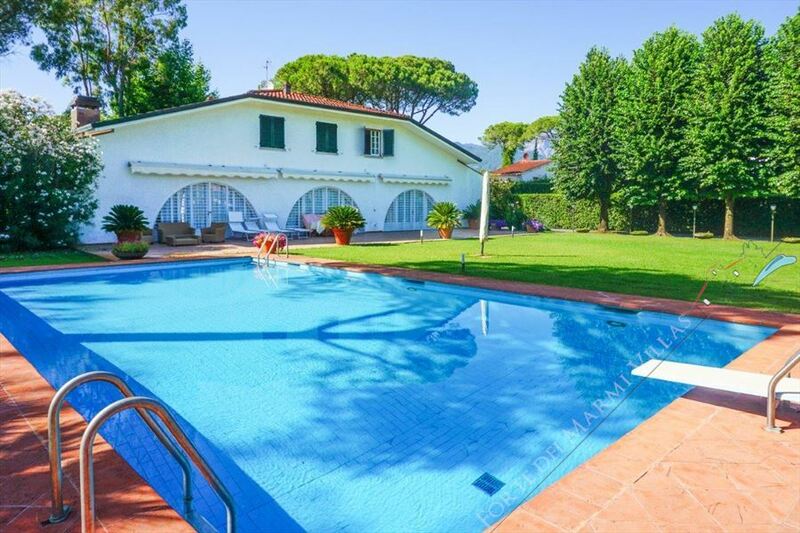 Admirable modern villa with a splendid garden (1100 sqm), located in Forte dei Marmi in "new Caranna" zone, close to Roma Imperiale and just 1000 meters from the sea. 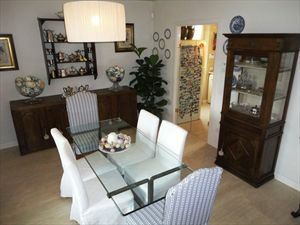 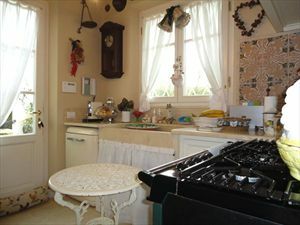 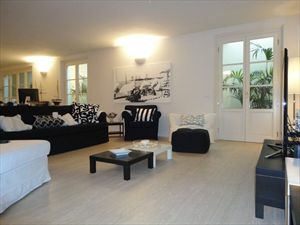 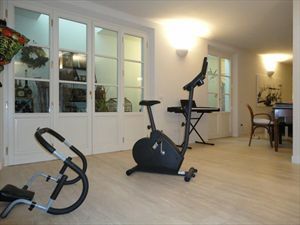 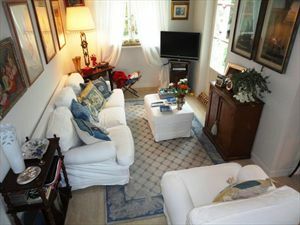 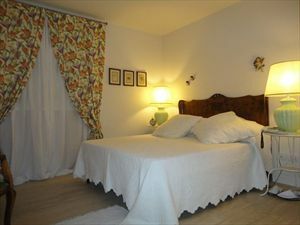 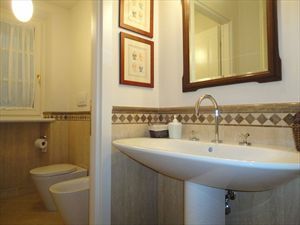 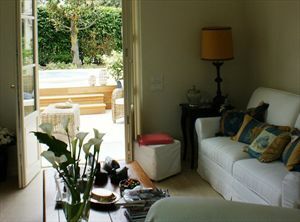 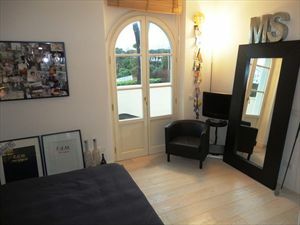 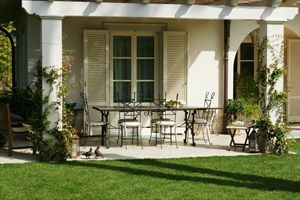 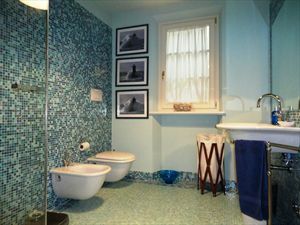 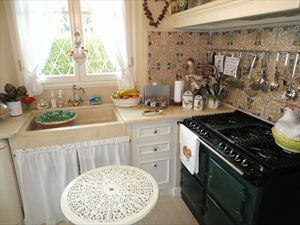 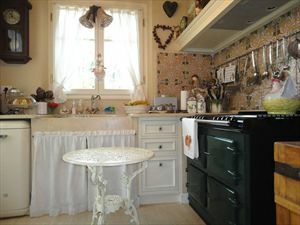 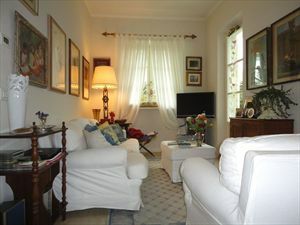 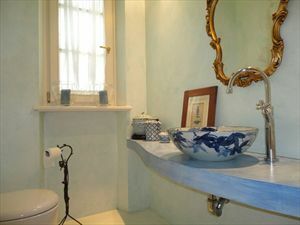 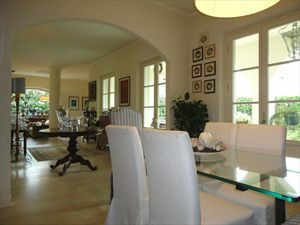 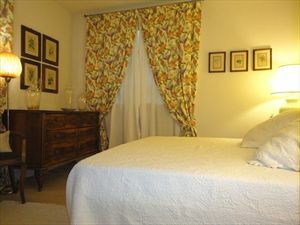 There is a car parking, a terrace with a dining table and outdoor furniture, a sun deck, Jacuzzi in the garden. 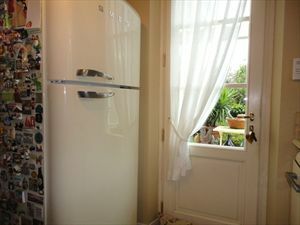 The gates have an automatic control system. 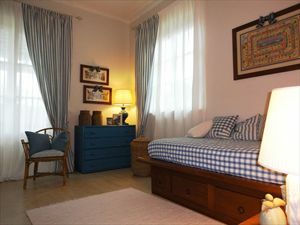 The house is equipped with an alarm system, an air-conditioning system, Internet Wi-Fi and satellite TV. 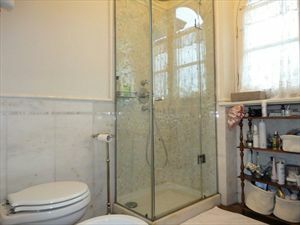 There is a living room, an office, WC, an ironing room, a bedroom with a double bed and a bathroom on the underground floor. 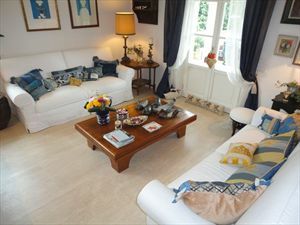 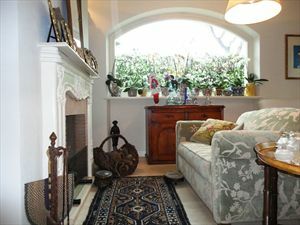 The ground floor includes a large living room with a fireplace and TV, a dining room, WC, a kitchen with an entrance to the terrace, a bedroom with a bathroom. 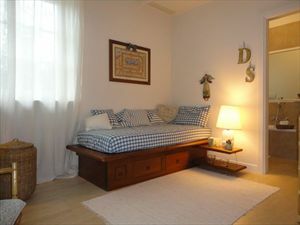 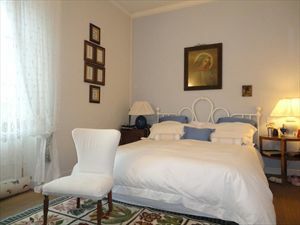 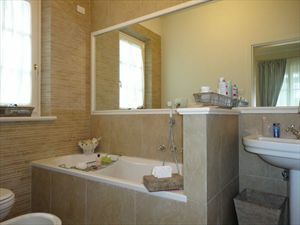 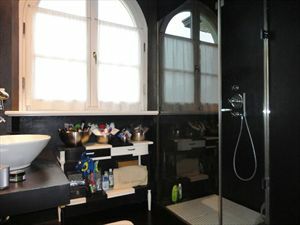 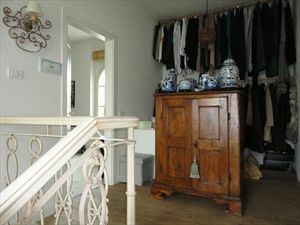 The upper floor has a dressing room, 2 bedrooms with double beds and bathrooms.